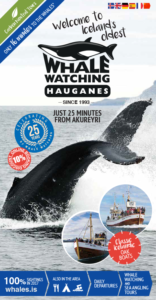 Thank you for choosing Whale Watching Iceland Tours from Hauganes! We look forward to seeing you and bringing you closer to the whales that live in our neighbourhood! 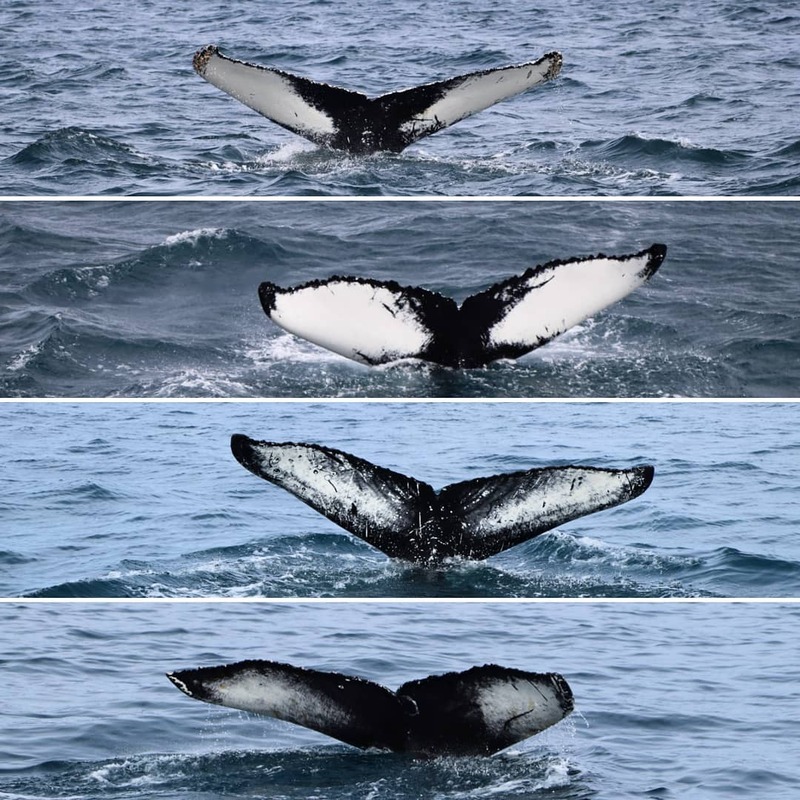 Please select here between our classic Whale Watching + Sea Angling (includes sea angling at the end of tour) and our 100% Whale Waching tour (at 10.30 and 14.30, no sea angling included). Book your 2019 tour now! If you have any problem booking please call us at +354 867 0000 or send us an email to whales@whales.is and we will help you out. We accept VISA and MASTERCARD. Your 10% online booking discount will be calculated into the price when you check out. By booking on-line you will enjoy a 10% booking discount! We are located at approx. 30 min drive from Akureyri in the direction towards Dalvík. When driving from Akureyri our intersection to the right is clearly marked with flags and a mockup whale tail.